The special assistant to President Muhammadu Buhari on social media, Lauretta Onochie, has said the presidential candidate of the Peoples Democratic Party (PDP), Atiku Abubakar, should counsel himself. 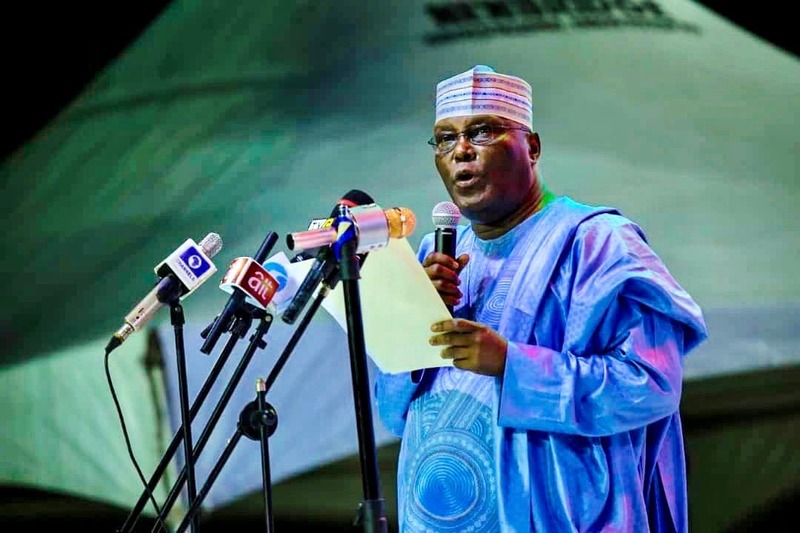 Onochie, who took to her Twitter page to make the warning on Tuesday, April 9, said Atiku is lucky to be walking free. We gathers that the presidential aide stated that she saw Atiku’s pictures with some weird inscriptions. She said whatever the former vice president is planning, he should not forget that Nigeria has a president in place. She said: “I just returned to Abuja and saw @atiku’s photos with some weird inscriptions For one who is lucky to be walking free, whatever he is planning, he shouldnt forget that we have a President in place. Meanwhile, We previously reported that Prophet Udoka Daniel Okechukwu, an Anambra-based pastor, who prophesied that Atiku Abubakar of the People’s Democratic Party (PDP) would win the 2019 presidential election, rejected the result by the Independent National Electoral Commission (INEC). He alleged that the presidential election was rigged and as a result, the outcome was not the will of God. The cleric also said that those that rigged the election should be expecting the judgment of God soon. He said: “We thank God for what has happened but the result by INEC is not the will of God. It is clear that Atiku is the chosen one. Buhari is not the chosen one. Going further, he said: “I also said that Buhari will live to see the 2019 election and that if he died before the election, people should take me as a false prophet. “If God can show me the outcome of so many elections and it comes to pass but in the case of Nigeria, the contrary happened, that shows that Nigeria is a hopeless country.